Georgia did not lose to LSU 20-13 because of an utterly ridiculous "celebration" penalty. Georgia lost to LSU because the Bulldogs failed to cover the kickoff following the insane call. That and the fact they had no offense for an entire half of football. Georgia is a very mediocre team that is led offensively by a very mediocre quarterback. We should hope "average" is not an annual condition that is leading the entire program down the path to mediocrity as well. Georgia has already fallen off the top tier of the SEC, it's now a matter of how long will this downward spiral last? 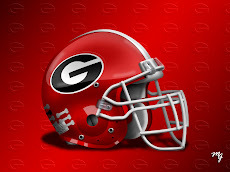 As for covering kickoffs: Mark Richt's Dawgs haven't been adept at kickoff coverage for two years now. A major college program playing in the toughest conference in college football cannot cover a kickoff. Unbelievable. Our final kickoff from our own fifteen was returned 40 yards by LSU to the Georgia thirty eight yard line. They only needed a field goal to win, and they were almost there after the kickoff. We returned their final kickoff, also from their own fifteen, about two yards to the Georgia thirty three. Quite a difference, huh? If you can't smell what's cooking here, let me assure you it stinks! There is too much talent in Athens to lose at home to a very average LSU team, which came into the Classic City ranked number four nationally by the way. And by the way, no way. The Tigers are not a top ten team at all, but they didn't need to be to defeat Georgia. One Bulldog said before the season that this team could go as far as Joe Cox would take them, and I believe that to be true. I think he can take the Dawgs to about a 6-6 record when all is said and done this season. And, as we say in the South, "Ain't that a crying shame?" 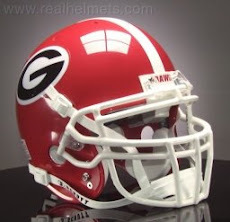 North Carolina: Navy Blue & Just Plain "Blue"
Mark Herzlich: "Full of Heart"
How Did Everything Get so Bad at Georgia? 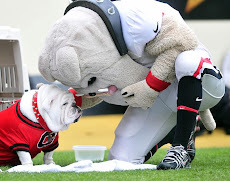 Georgia vs Ga. Tech 2011: Leave it Alone! Would You Play Tim Tebow Against LSU? Nike and Michael Vick: What's Up Guys?